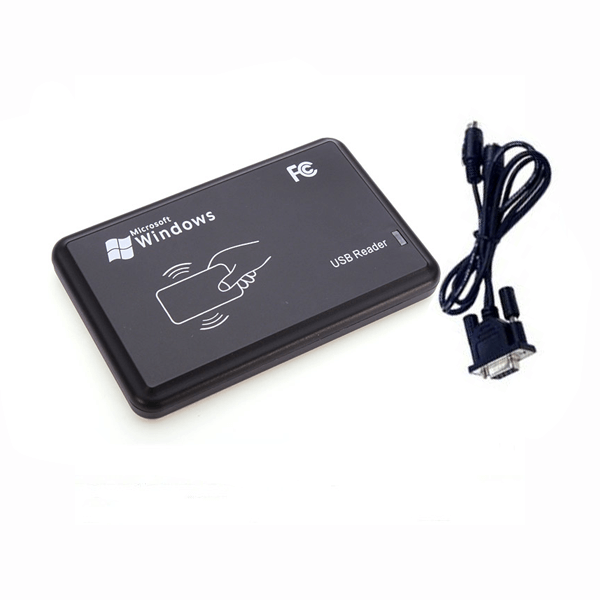 Mifare desktop readers are smart modules without touching based on international standard agreement ISO14443A, is equipped with high capability chip, processor, security and electric monitor. The reader can communicate with PC by means of RS232 interface plug and play no driver required just a port monotring software like hyperterminal. It is of high capability, anti-jamming, small size and good quality, which brings more convenience.